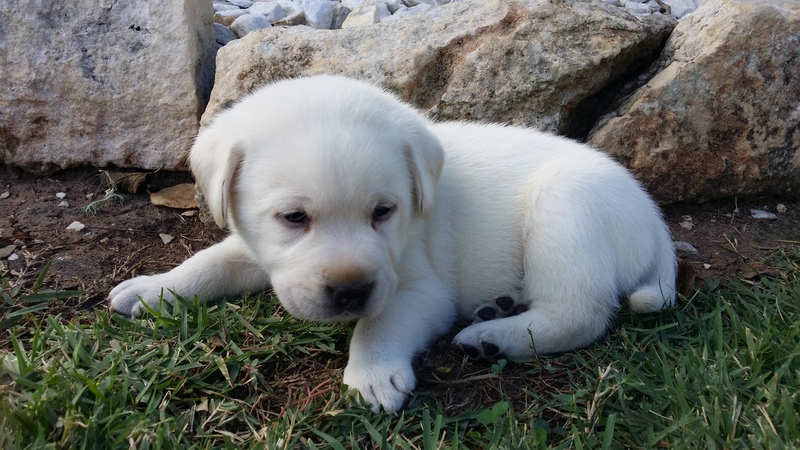 Well the last white lab puppy is sold. This post is just to show that having the first pick from a litter is not always as important as it may seem. Sometimes I think the last one available is just as cute as the first ones that are picked. We are now sold out until after the holidays. The next litter is Sophie’s & she is due Dec. 12th. I have 5 deposits already taken on her litter they will go home in late Jan. The males are $1000 & females are $1200.